The impact that 5G will have on the sports world in the not-to-distant future will be profound. 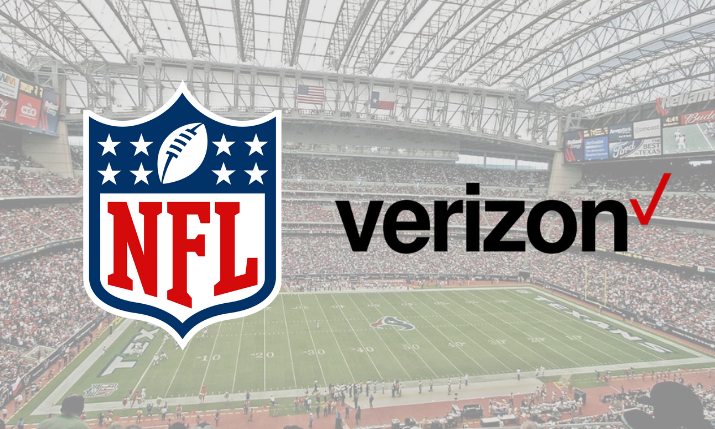 Today, the NFL took a step closer to realizing that future by striking a two-year partnership agreement with Verizon to jointly develop new products and services that use 5G and other future technologies to enhance the fan experience. The partnership officially makes Verizon “The Official 5G Innovation Partner of the NFL” and, according to an official release on Monday, will be built on enhancing three pillars: the in-stadium experience, mobile gaming, and video streaming. On Monday, the partnership outlined how Verizon will explore use of 5G to stream volumetric video — an emerging media format — for the development of new fan experiences and applications. In addition, the NFL will partner with Verizon to develop new in-stadium mobile features designed to enhance the in-stadium fan experience by using 5G technology. Also, the two entities will call on game developers to create one or more NFL-themed mobile games powered by 5G. This is yet another page in the history of the NFL partnership with Verizon on innovations relating to video and media connectivity. Verizon has long been the exclusive mobile distributor of live games and other NFL content across its mobile network. In addition, Verizon Media’s Yahoo! Sports has been a trusted streaming partner of live NFL games. Verizon has also coordinated with individual NFL teams and venues on stadium technology to help improve operations and connectivity for fans.